Congo is one of the most complex countries in the world, yet it is the most overlooked. It is one of the wealthiest in Africa as a result of its natural endowments, but its people are some of the poorest in the world. Congolese culture is informed by the brutality of war. Over five million Congolese died at the beginning of the 21st century because of our demand for the minerals that power our cellphones and laptops. Billions of dollars are being siphoned out of the country while billions in humanitarian aid and peacekeeping are coming in to clean up the mess. Although the country has paid a price for over five centuries, progress has and continues to be made. 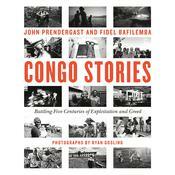 Wanting to learn more about this incredible land and history, Ryan Gosling and activist John Prendergast went to the Congo to learn firsthand how the prosperity of America and Europe has defined Congolese history for the last five centuries in a multitude of ways. A Monstrous Greed introduces readers to the incredible men, women, and children whose lives have been upended by conflict. 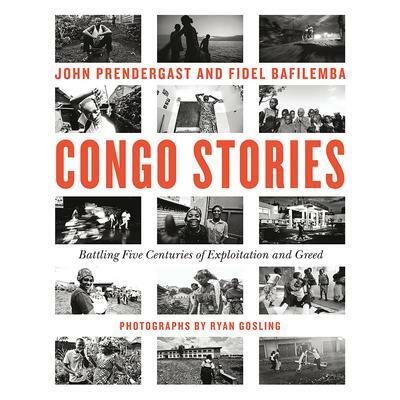 Filled with a collection of essays by Gosling and photos he took during their trip, and Prendergast’s meticulous research, A Monstrous Greed is a stirring exploration of the Congo experience, an invitation for readers to connect with a vibrant but embattled part of the world, and a worthy call to action and engagement.